These orders do not apply to those cases (retired after 1.1.16 but got pensions as per 6th CPC) where the pension at the old rates has already been finalized. For revision of Pension of such cases, a separate circular will be issued. Separate proforma for preparation of Data-Sheets in such cases, as provided in the circular, would be used. Reference: GOI, Min of P.PG & Pensions, Deptt. of P&PW OM No.38/37/2016-P&PW (A)(i) dated, the 4th August, 2016. The receipt of this communication may please be acknowledged. 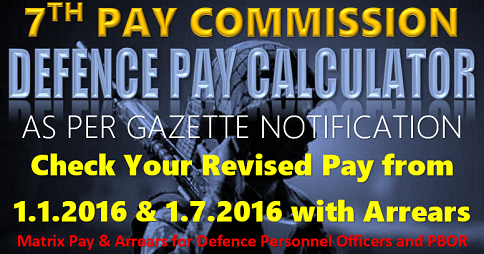 I retired in July 2016, till date no arrears as per 7cpc on commutation,gratuity, lve encashment recd. Nor any intimation received as any form is need to be send from our side, where to contact for the issue, advice please. 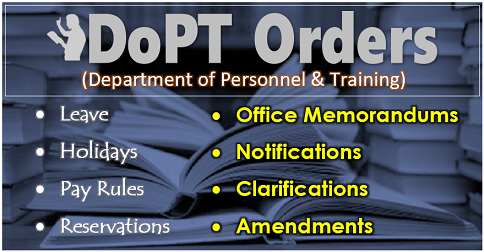 Contact your ex-employer’s Head of Officers. Sir I was retired from Army on 31 Dec 2016 in the rank of Sub Maj Hony Lt. Arrears of difference of pay wef 01 Jan to 31 Dec 2016 as per 7cpc is approx two lakh and seventy five thousand, whereas only Rs fifty two thousand was credited in my account while I was in service and ninety thousand was credited in my account after retirement. There is a difference approx one lakh and thirty five thousand. Request please do the needful and balance amount credit in my account. My number is JC326810Y Sub Maj Hony Capt Anil Kumar. Record office BEG Roorkee and PAO is also at Roorkee. 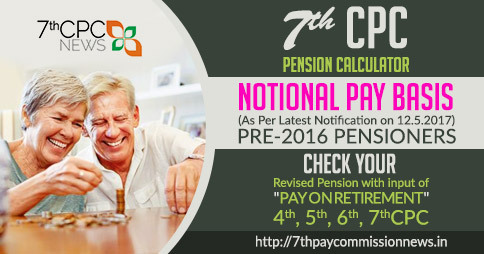 Please confirm revised pension as per 7th pay commission when will release who were retired post 01.01.2016. Sir I was retired on 31-08-2016 till now no information of revision of pension has been received so far. kindly intimate latest policy for post 2016 retirees. I retire on 31 march 2017.i revieved all retire benefite as per 6 cpc. When i recieve 7 cpc benefit and pension. Please reply. Sir, I got retirement from Indian Naval Service after completion 34 years as Hon Lt. on date 30 Jun 2016. And i am on pension w.e.f 01Jul 2016. 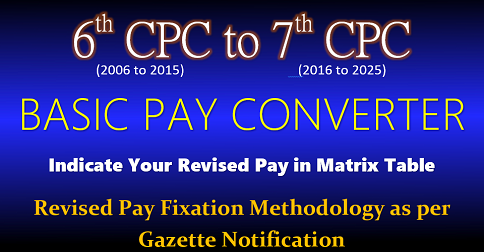 But till now i did not receive any type arrear as per 7 th CPC .So please let me know when i am going to get new pay scale. Sir i was voulantry retired in Hav(Gd) service 20 years 09 month on 31 Aug 2016. 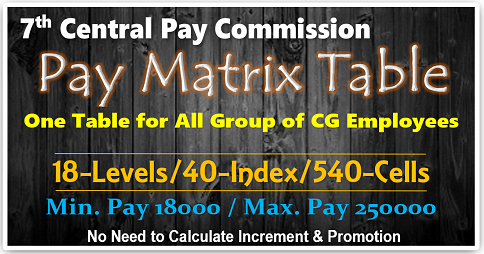 No arrears of pay with me regards to 7th pay commission is paid to me. 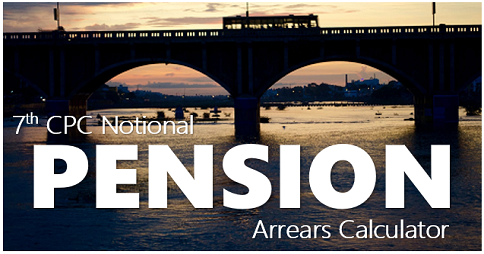 Further no intimation of revision on pension has been received so far. Kindly intimate latest policy for post 2016 retires. 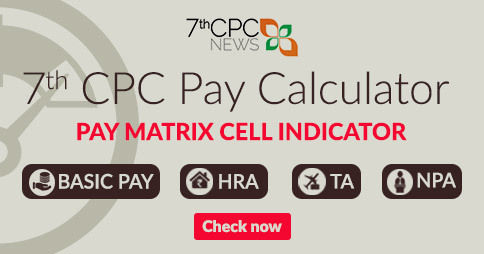 Pensioners who are getting pension as per 6th CPC will now receive less/equal amount of pension, if they opt for commutation/not opt for commutation. Finally no financial benefits to central govt employees….at all.